Voice Dialogue – Michael Shiffman, Ph.D.
We have many selves inside us. Some of them are conscious and others are unconscious. We are going to share a day dedicated to identifying them, organizing them and experiencing them. Some selves are adaptive. These are very useful, but can also get in the way of meeting new challenges in life and also keep us from feeling in touch with our true essence. Other selves are in the shadows, denied, repressed or undeveloped. Other ones are archetypal, ones that we all share. In other words, these sub-personalities tell us the story of our lives. How we have adapted, what we have adapted to and why, and what we have lost along the way. 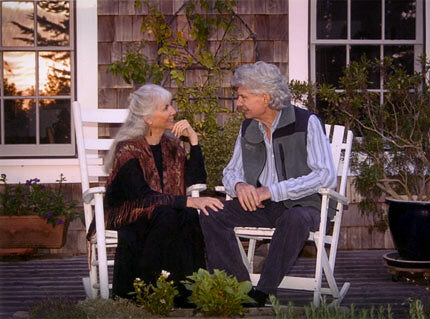 Voice Dialogue is the specific method developed by Hall and Sidra Stone to explore the world of the Selves – also known as sub-personalities. This method requires two people: a facilitator and the subject being facilitated. The job of the facilitator is to help the subject become aware of, and to experience, the various Selves that run our lives and to learn how to use them in a conscious way through the development of an Aware Ego Process. Voice Dialogue gives us a map and an experiential method of learning about these selves, embrace them and integrate them – giving us a sense of wholeness and well-being. It is a unique and powerful blend of attachment theory, Depth therapy and Family Systems work. Voice Dialogue emphasizes three aspects of consciousness. The person who is the Client is asked to embody and give voice to any and all aspects of mind, body and soul that desires expression. The facilitator mirrors this expression and holds a presence with warm curiosity. The group serves as the Container holding a sacred space as they witness the moment-to-moment unfolding of this unique experience of self. We develop and strengthen the Aware Ego Process as the ultimate goal of Voice Dialogue. This is a Conscious Ego that is not identified with any of the inner family, yet is appreciative of the unique gifts each offers. The Aware Ego Process is capable of holding the tension of the opposites within, while making decisions that are in the best interest of the whole person. Our internal dynamics and personality determines our choices and behaviors. Sub-personalities are psychological satellites, coexisting as a multitude of lives within the overall medium of our personality. Each sub-personality has a style and a motivation of its own, often dissimilar from those of the others creating a sense of unease especially when life challenges our usual way of functioning. By embodying and voicing the many dimensions of our mind and body, we create a centered awareness that leads to integrating these various and often conflicting selves. This integration allows a person to experience their core self, creating an ever-deepening sense of wholeness, self-acceptance, aliveness and choice.